Scott No E31, 1961 Messenger Type. 10c orange. Imperforate Pair. 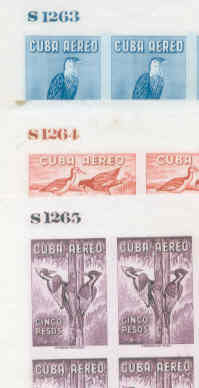 Scott No C235-37, 1p,2p & 5p Air Mail (Birds 1962).Block of 4 Imperforates with plate number 1263, 1264 and 1265. Very interesting and rare piece. Scott No C235-37, 1p,2p & 5p Air Mail (Birds 1962).Block of 4 Imperforates. Interesting and scarce item. 11109 Philately: Scott C209-10 Stamp Day 1960. Sucharge missing, Imperforate block of 4. 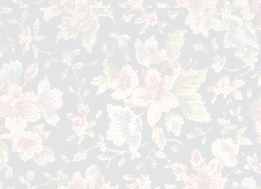 Watermark paper. RARE. 28031 Philately: Postmarks, Madruga SGP Doble Circular, Certificado Boxed, Ene 18,1961. Comercial cover Compañia Azucarera Gomez Mena, Central "San Antonio", Madruga.